Ace Attorney Phoenix Wright is back and this time on the computer. Most of you know the rookie attorney Phoenix Wright from Nintendo DS emulator. CAPCOM did a great job bringing the legendary courtroom series to PC gamers. You play the game in the shoes of Phoenix Wright, a rookie attorney who plays the role of the defendant in a courtroom and proves the innocence of his clients in order to save them. You don't only fight against the effed up justice system but also deal with cunning rival attorneys. The PC version brings all the 3 parts together. Which means you can play 14 cases in the game and find the truth out for yourself. Solve the intriguing mysteries and, beat your rivals in the courtroom. Save your innocent clients and uncover the truth for everyone else to see. The game is tagged as a visual novel but don't fool yourself. Even though I agree that the game is built on a visual novel mode, but the presentation makes it somewhat different - You will feel you're playing a normal game but this time it's more immersive and intense. Unreliable witnesses will work day and night to stack the deck against you, are you sharp enough to see through their lies and catch them red-handed? Call them and their lies out. Face your rival prosecutors, each one of them is the very best at their own fields. 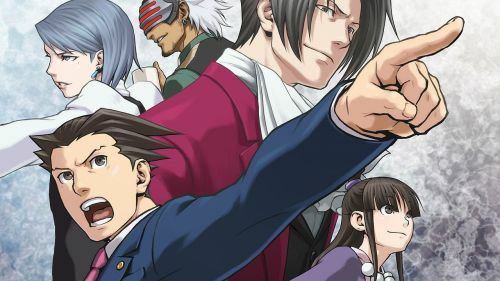 Fight against the genius prosecutor Miles Edgeworth, revenge seeker Franziska Von Karma and the legendary prosecutor, the man of mystery - Godot, who never lost a case. Experience the battle of wits unlike any other, uncover the truth and save the day. The world of Phoenix Wright is amazing and filled with twist and turn. If you are a fan of story-rich visual novel games, then this is your best bet. Another good thing about the game is humor, humor is intact in all part of the game, despite the difficulty of different regions, the inside jokes and puns are still there. You will learn the difference between a Ladder and a Stepladder in this game. "Blacker than a moonless night, hotter and bitter than hell itself...That is Coffee" - Get your cup of coffee and dive inside the courtroom drama to have a good time. PUBG Lite for PC: Is the game just like PUBG Mobile on Emulator?